A Taste of Michigan Cherries - Our Full Array of the great tastes of Northern Michigan!! !﻿ O﻿rder Today...and start enjoying your favorites...We thank you for your business. O﻿rder Today...and start enjoying your favorites...We thank you for your business. 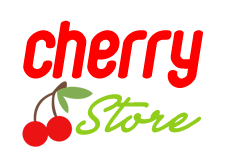 Click Here to enter our Cherry Store. Natures Ultimate Antioxidant!! View the Health Benefits Report. No added sugar! No preservatives or additives! IN GLASS BOTTLES...NO PLASTIC LEACHING! 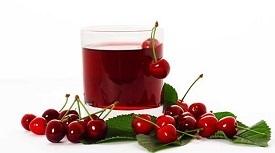 Mix 1 ounce (2 tablespoons) with 7 or 8 oz of water or juice for a refreshingly tart cherry juice. Drizzle over ice cream or fresh fruit. Serve over angel food cake or pancakes. Stir into yogurt or oatmeal. Use to make fruit punches. Freeze in ice cube trays and add cubes to orange juice or lemonade. Stir into milk or soy milk, tea or carbonated beverages. Prefer Emailing Us Your Order? Prefer Picking Up An Order? 1. Please include with your order your Full Name, Address and Phone. 2. Include a note as to how you heard about us. Please be as specific as possible. 3. Indicate if you would like your order shipped or if you would like to make pick up arrangements. 4. We will send you an email invoice from PayPal where you can securely pay for your order. There is no need to have a PayPal account. 5. Your order will ship immediately upon payment or you will receive a courtesy call to make your pick up arrangements. Shipping costs are based on shopping cart total. For multiple shipping addresses, please place individual orders.